Alyssa was initially referred to us by her Work Coach to see what help and support we would offer her as she had never worked before, had no qualifications and no success in her own job searching. As young single parent, she was really keen to get a job that would improve the future for her and her son. Alyssa started on our Employability Fund Stage 4 Programme where we worked on a one to one basis with her, drafting a CV, building her confidence, and improving her employability skills. Alyssa was open to considering all types of work. We were able to arrange a successful work trial with a local Restaurant/Cocktail Bar the employer was really impressed with Alyssa’s commitment and offered her employment as a Server/Bar Tender. “Looking back to an even just a year ago, I never thought I would ever get a job as I have no qualifications never mind a good job that I love. 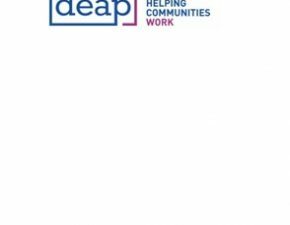 I managed to get a job with the help from DEAP; DEAP got me a 2 week work placement. Being at DEAP helped boost my confidence a lot and gave me the determination I needed to motivate myself. I was nervous at first and wasn’t really sure that the job placement was what I wanted because I was so nervous and was too scared to just go for it, I even had to finish early the first Saturday night because I had no clue and felt under pressure. I cannot believe that 6 months into my first job and I have been trusted and promoted to duty manager. The futures looking brilliant for me and my son now, hopefully one day I can own a cocktail bar n restaurant of my own. It is definitely what I want to do forever. Today is my first full day on my own running this place apart from the chef that was in too, big responsibility but opens up a lot of doors for the future and thank you.